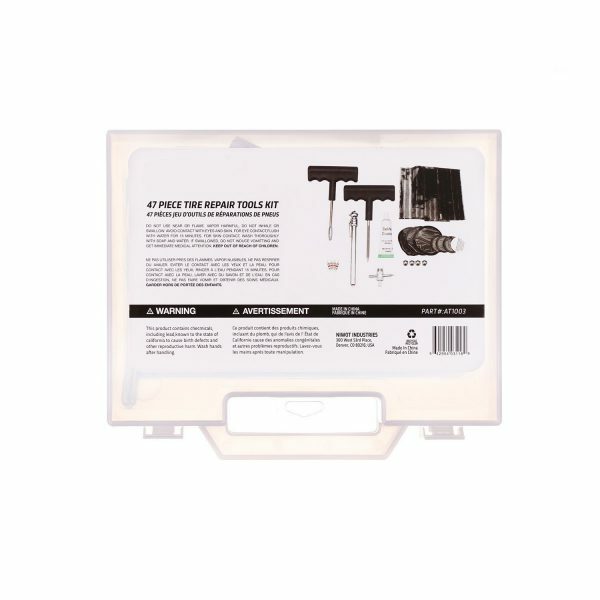 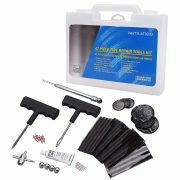 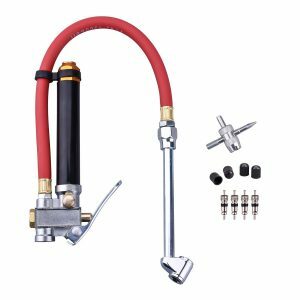 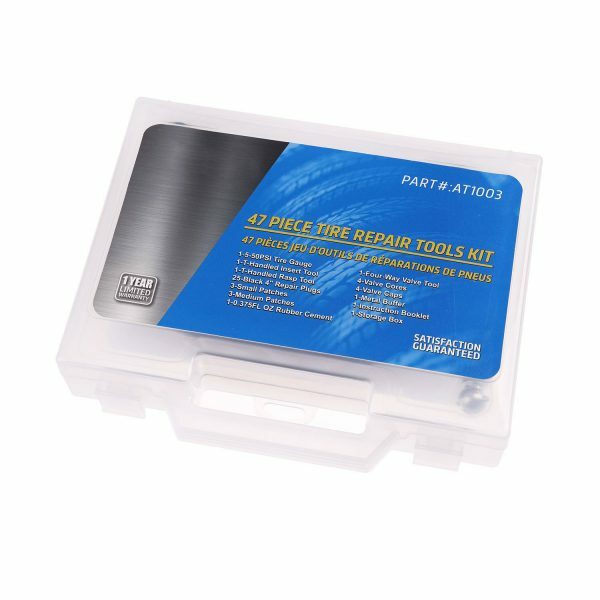 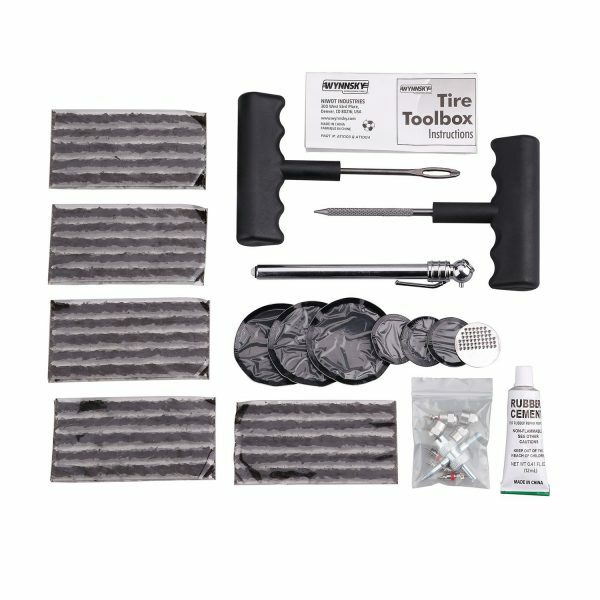 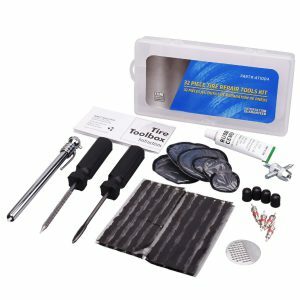 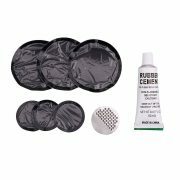 Hromee Tire Repair Plug Kit contains the essentials that you will need to repair standard tires. 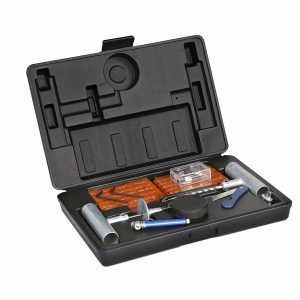 For convenience and easy storage, all of the contends of this kit comes in a functional handle carry case and an instruction booklet is included. 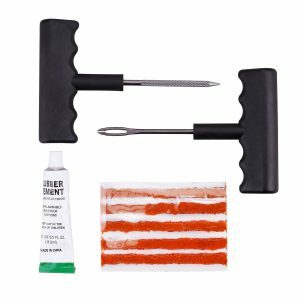 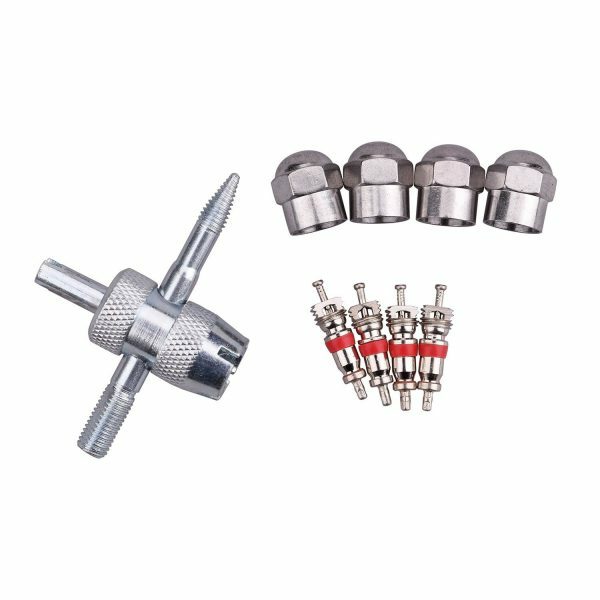 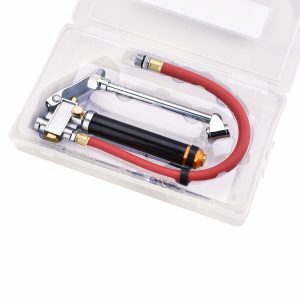 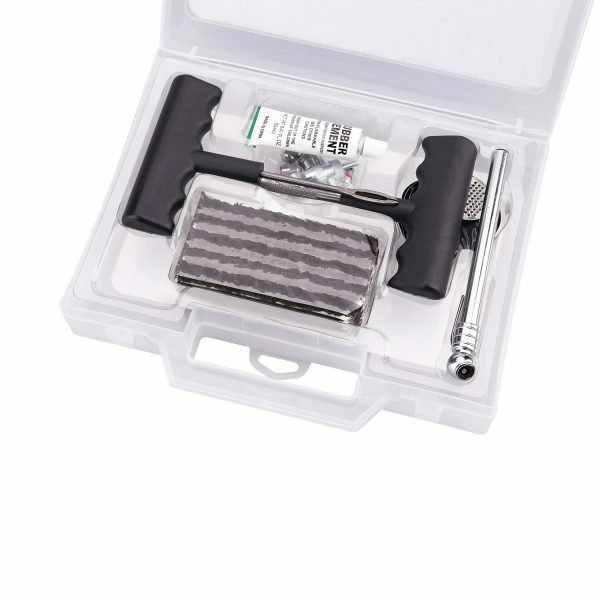 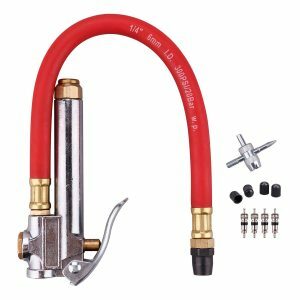 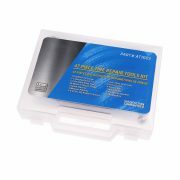 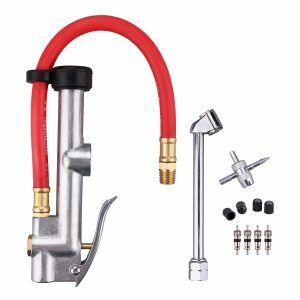 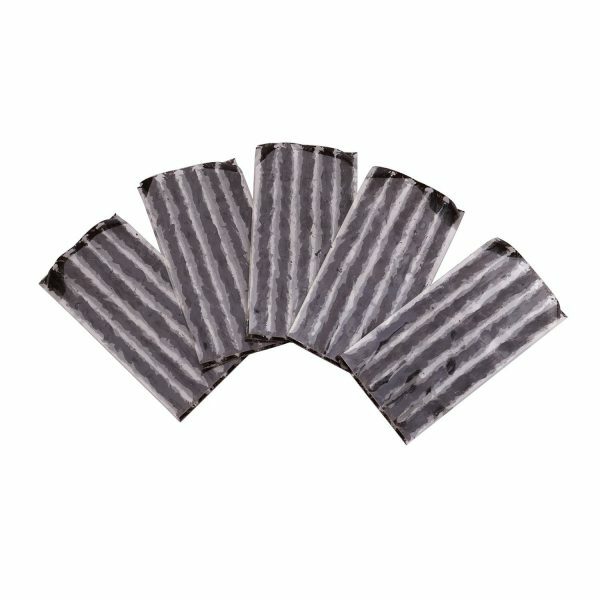 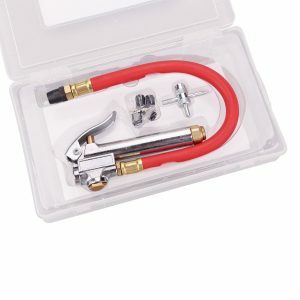 The tools in this kit are made of durable and high-quality materials, and will service you for a long time. 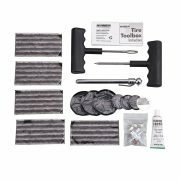 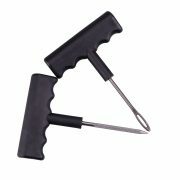 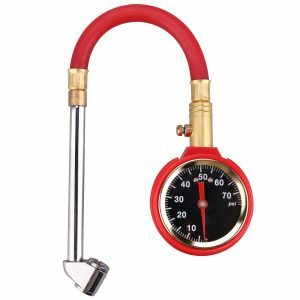 3.Includes pencil tire gauge, 6 tire repair strings, T-handle rasp, plug threader and patches. 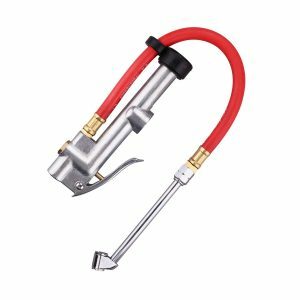 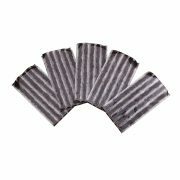 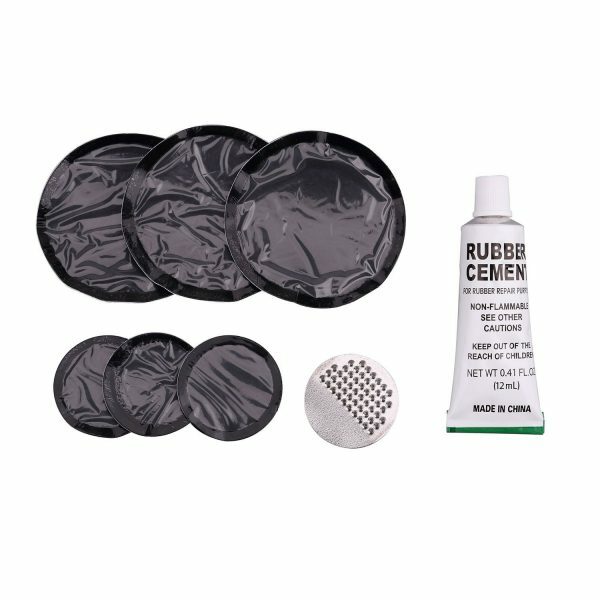 5.Covers tubes and tubeless tire repair for bike, bicycle,motorcycle.